Ruth M. (Spitler) Frantz Speicher, 96, of Troy, formerly of Phillipsburg, passed away Wednesday, August 1, 2018, at Brookdale of Troy. She was born August 26, 1921, in Darke County, to the late Harold and Mary Catherine (Flory) Spitler. She married Harold Frantz; he preceded her in death in 1966. She later married G. Wesley Speicher; he preceded her in death in 2011. 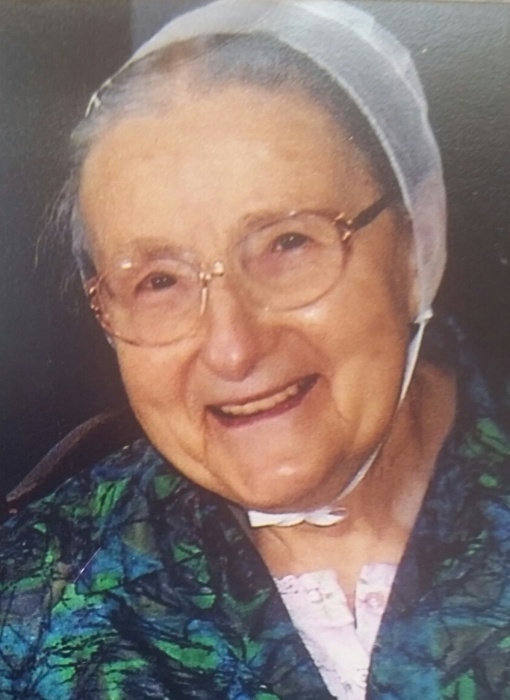 Mrs. Speicher will be missed and remembered by her son and daughter-in-law, Stan & Myrna Frantz of Covington; son-in-law, Albert Haney of Englewood; daughter-in-law, Wilma Wyrick of Cincinnati; 12 grandchildren; 46 great-grandchildren; and eight great-great-grandchildren. She was preceded in death by a daughter, Sharon Haney; son, George Frantz; and siblings, Evelyn Honeyman, Lloyd Spitler, Floyd Spitler, Phyllis Spitler, June Pill, and Donna Curtis. Ruth was a 1939 graduate of Monroe High School in Darke County and was a member of the CornerStone Dunkard Brethren Church. She was a homemaker and enjoyed gardening and crocheting. Funeral services will be held at 9:30 a.m. Saturday, August 4, at CornerStone Dunkard Brethren Church, 5430 Greenville Falls-Clayton Rd., Covington. Burial will follow in Miami Memorial Park. Friends may call from 3-5 p.m. and 6-8 p.m. Friday at Moore Funeral Home, 10 S. High St., Covington. Memorial contributions may be made to Kindred Hospice. Online condolences may be left for the family at www.moorefh.com.